Pre-registration deadline extended to July 1st! 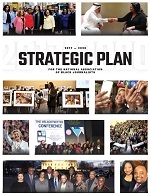 NABJ Summer Specials and Giveaways! NABJ is excited to announce that registration for the 2011 Convention and Career Fair in Philly is up 30% from this time last year! Our phones are ringing off the hook, hotels are selling out, and tickets are going fast! Still haven't registered? The pre-registration deadline has just been extended to July 1st! 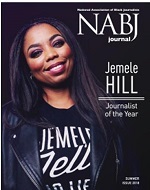 And starting Monday, June 20th, NABJ is offering a five-day series of specials and giveaways you don't want to pass up! From FREE round trip airfare, to VIP Access to the hottest party of the convention -- register for the convention on one of these five days and SAVE! Register on Monday, June 20th and be eligible to win a FREE ticket to the Gospel Brunch! Enter promo code "2011ConvPA" when you register for your chance to win! Valid Monday only. Want to rub shoulders with A-listers in the sports and journalism industry? Be one of the first 20 people to register for the convention on Wednesday, June 22nd and win FREE VIP Access to the NABJ Sports Task Force Jam - the hottest party of the convention! Valid Wednesday only. Winners will be contacted within 24 hours. POWER HOUR! Register by phone between 10:00am and 11:00am on Thursday, June 23rd to win a FREE ticket to the Salute to Excellence Gala (supply is limited)! Valid Thursday only. Voicemail and email messages/registrations will NOT be honored. Register on Friday, June 24th and be entered to win a FREE registration for the NABJ Convention in 2012! Valid Friday only. Please be aware that while rooms are still available for booking Tuesday through Friday at our host hotel (the Philadelphia Marriott Downtown),availability for booking at the Philadelphia Marriott Downtown on Saturday, August 6th, 2011 is closed. Five-day stays including Saturday nights are available next door at the Courtyard Marriott as well as the Residence Inn. The Courtyard Marriott can be reached for reservations at 215.365.2200.